Living in a family with kids means they are always your center of attention. But should prioritizing kids come at the cost of your health and general well being? Not at all. As you will learn in this article, it is perfectly possible to take care of your growing kids without neglecting your physical (and psychological) well being. After all, the whole family suffers if your well being, physical or otherwise, is undetermined. Typically, having a family with kid’s means you always find yourself overwhelmed with chores: taking kids to school, attending their school events and meetings, taking care of housework – all of this on top of your own work. Thankfully, with some smart planning, and lots of determination, you can make sure that your desire to live an active lifestyle isn’t compromised. Follow the 6 tips mentioned below to start your journey towards a healthy and active lifestyle. Transform your daily chores into exercise: One of the key reasons that prevents so many people from taking care of their physical fitness is lack of time. Having kid’s means you simply aren’t getting the time to follow through on a structured exercise regimen. The good news is that calories aren’t burnt only on a treadmill. Indeed, non-exercise activities are a bigger determinant of healthy lifestyle than time spent in gym. This means you can take small steps like going on a walk with your kid in the stroller, standing up and moving about ever so often, taking stairs instead of the lift on your way to work etc can help a lot. Condensed workout: Your workout doesn’t have to last 60 minutes. Lot of evidence is emerging that shorter, but more intense, workout are in fact better in maintaining peak fitness. Go for a High intensity interval training for 15 minutes if you cannot find time for a full hour workout in your daily schedule. Join yoga or dance classes: The time you spend in front of TV or surfing the web, or even the time you spend with your kid at home, can be better spent if both you and your kid can sign up at your neighborhood yoga, aerobics or dance classes together. This will ensure you not only get to spend quality time with your kid, but also take care of your fitness and inculcate a love for active lifestyle in your kid. A truly winsome proposition. Plan outdoor or DIY activities with your kids: Nothing is quite as wholesome as a great family outing. 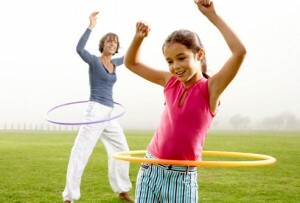 Not only is it great for fun and entertainment, but also excellent for bonding and physical wellbeing. The outdoor activity could be anything – from a camping trip to a hiking or biking expedition. Similarly, do it yourself (DIY) projects are excellent both for you and your kid. The internet is full of amazing websites and tutorials on DIY home improvement projects. Get your hands dirty with these projects and involve your kids in the same. Such projects challenge your mind, and bring out the creative best in you. CSA contact should be initiated if you find yourself in need of support for your kid’s needs and requirements. Ruby Andrew’s author bio: Ruby Andrew, a visitor essayist and blogger by calling lives in Bristol, UK. Since for quite a while, she has an energy for composing and she could compose on any point. Her ranges of investment incorporates travel, Health, wellness, Automobile, Fashion, innovation and wedding. At present, she acts as a visitor blogger for CSA contact.